The Hybrid Flora of the British Isles by Stace, Pearman & Preston. This important new reference work was published by BSBI in 2015 and is available now from natural history booksellers such as Summerfield Books. Scroll down to find out more. The Hybrid Flora of the British Isles by Clive Stace, Chris Preston & David Pearman provides detailed accounts of the 909 hybrids reliably recorded in the wild in the British Isles, with comprehensive identification notes, information on habitats, detailed accounts of distributions and 388 novel maps illustrating the records of the commoner hybrids in relation to those of their parents. 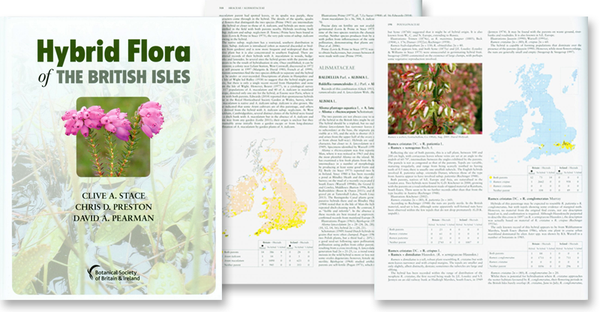 Find out more about The Hybrid Flora of the British Isles and its authors here. This “remarkable book” will be of huge value to all botanists who identify hybrids in the field and record the distribution of plants growing in the wild across Britain and Ireland. Hybrids can now be identified more accurately, recorded more confidently and validated more easily. This will increase the flow of reliable data on hybridisation and deepen our knowledge and understanding of which plants grow where across these islands and how this is changing. 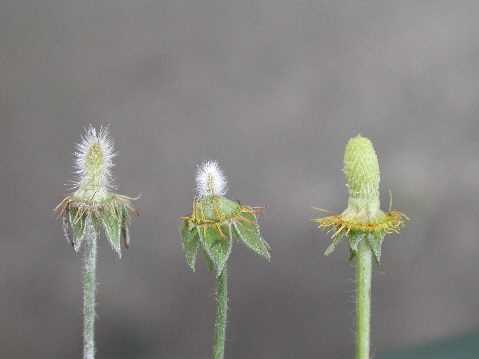 Evolutionary biologists investigating the significance of plant hybridisation or its contribution to the spread of introduced plants, and conservation biologists seeking to protect our biodiversity, will also find The Hybrid Flora of the British Isles of great value and its influence is likely to be felt beyond these shores. As Professor Richard Abbott says in his Foreword “This remarkable book will be an essential reference for all British and Irish botanists who have an interest in hybrids. … No other book of its kind exists for other parts of the world and consequently this book will surely set the standard for future hybrid floras”. *NEW* Engler Silver Medal awarded to Hybrid Flora authors - more here.